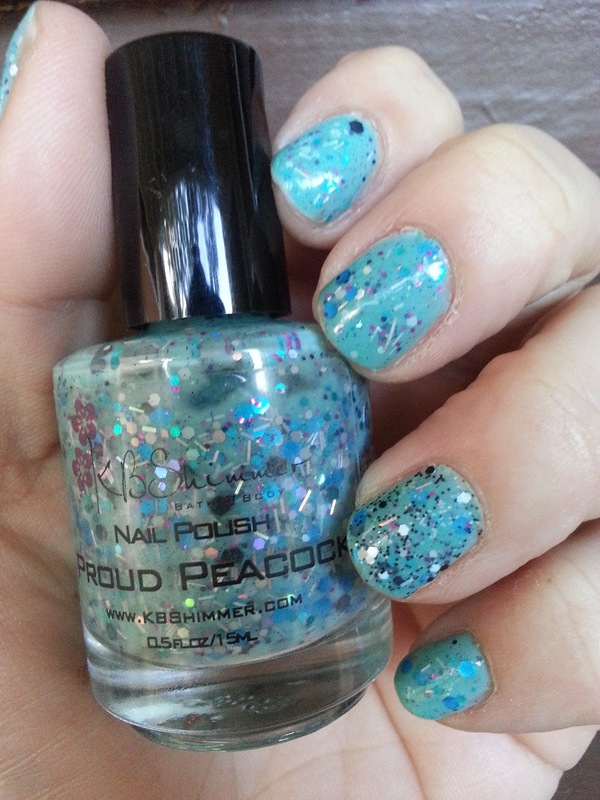 I decided to go ahead and purchase KB Shimmer's Berry Bash and Proud Peacock. 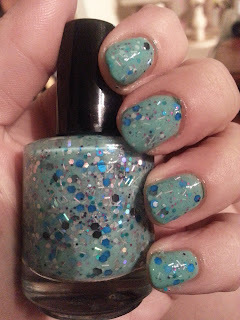 I "needed" BB after seeing it on Claudia's Holographic Hussy site, which I adore! Go check her out (after you read this, LOL). I also grabbed Proud Peacock after I looked up a few other swatches of available colors. I am SO glad I did!! 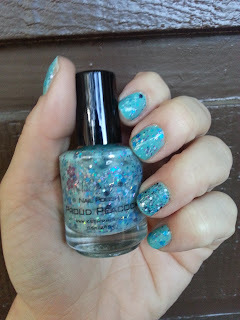 Proud Peacock has a bright teal, greenish blue base and it is BURSTING with black, bright blue, white and pink glitters, with smaller pink and blue glitters AND white bar glitters. Aah! See that densely packed prettiness?! 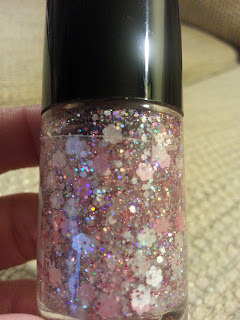 For some reason, even looking at this amazingly stuffed bottle of glitter with some polish thrown in, I thought it needed something underneath. I thought it might be...sheer. OH SILLY ME!! I'll show you just how wrong I was...but first, another NYC Cosmetics polish that matched this indie base PERFECTLY. This is another one of the NYC City Sweets Collection (shout out to Karen!). It is called Mint Macaroon. Check the bottle shots! MM is def greener but still..not a bad match! 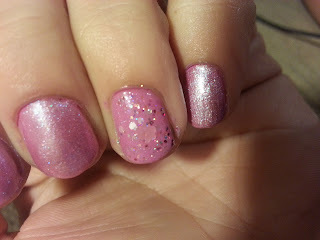 So, here is the finished mani! I used two coats of Proud Peacock and I adore the results! I am not usually the biggest fan of blue but this is a gorgeous spring and summer color! 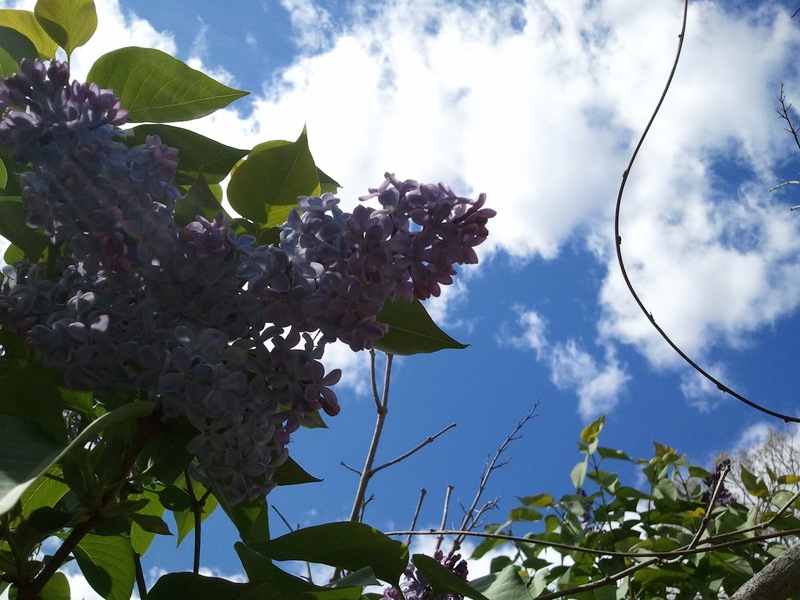 It's like a blue sky with summer flowers! 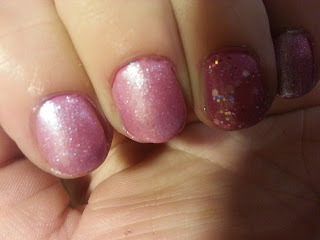 Outside, no flash...still so glittery and gorgeous from far away! 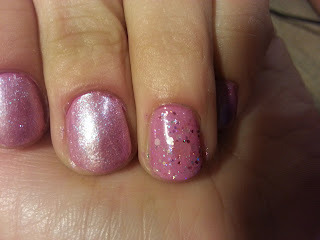 Accent nail is Pretty & Polished Valentino...more on that later! 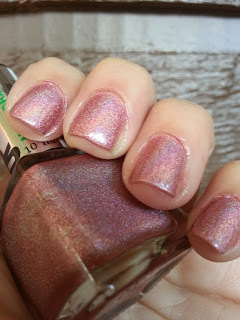 What do you think of KB Shimmer? You can find her polishes on the website: KB Shimmer Bath and Body, and she makes all kinds of bath products, too. 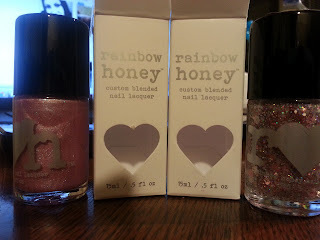 I haven't tried anything but the polishes...but if those products are as good as this polish is, I am excited to try more! 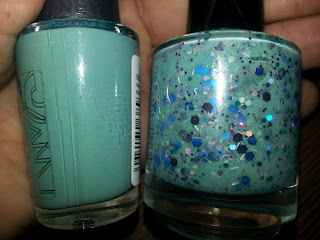 A few polishes glow in the dark and there is an awesome variety of the colors of these polishes, I def suggest you take a look! I know I am getting Splat ASAP, as soon as it's available. After getting Pretty & Polished's Jawbreaker, I have a new love for white based polishes! I wanted to take a minute to wish the Happiest of Birthdays to my Grandmother!! She'll never see this, but she is the one who got me into makeup and beauty products to begin with, so it's only proper she get a happy birthday here! 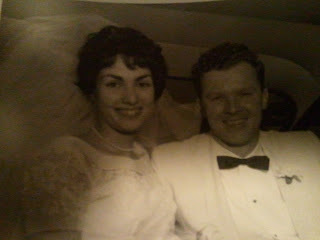 My Grandmother has always had the most beautiful skin of anyone I've ever met! She is turning 75 years young today, but she consistently looks 10-15 years younger because of how amazing her skin is. I hope I age as gracefully as she has! 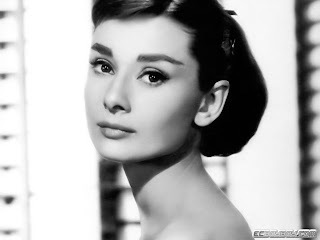 She has always reminded me to use great creams, to wash my face, and to never sleep my with makeup on. She prefers De'Cleor products, which my skin doesn't like, but whenever I smell something by that brand, I always think of her. Even more than looking great, my Grandmother is one of the kindest, most considerate and thoughtful people I have ever met. She has always reminded me that true beauty comes from the inside...but there's nothing wrong with dolling up the outside, too! Happy Birthday to my Gogo! I love you! 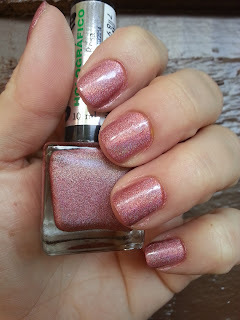 UP Colors Brilho Rosa Holo - Does a Non-Chipping Holo Exist? 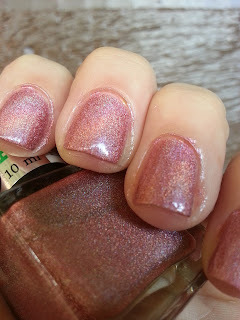 This is UP Colors Brilho Rosa Holo! It is a pretty rose pink hologram polish with brilliant coverage. 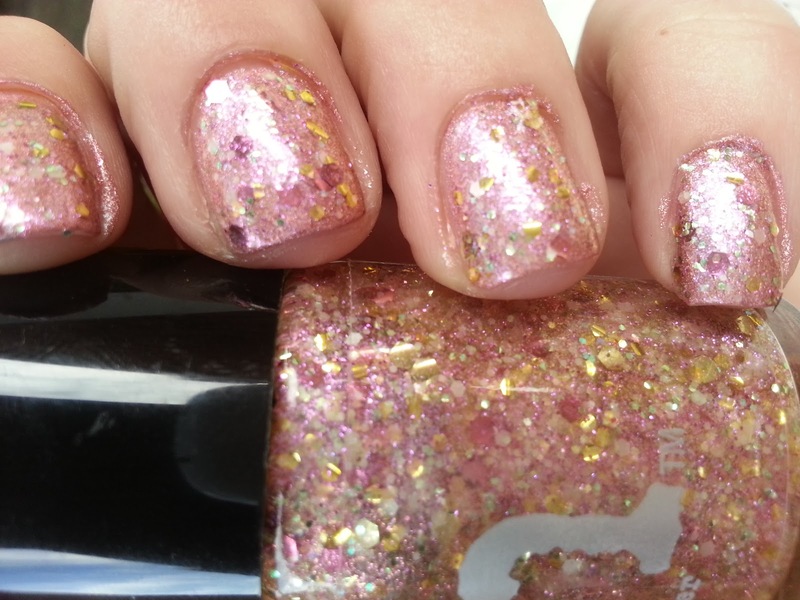 The UP formula is a great consistency and requires only two coats for full coverage. 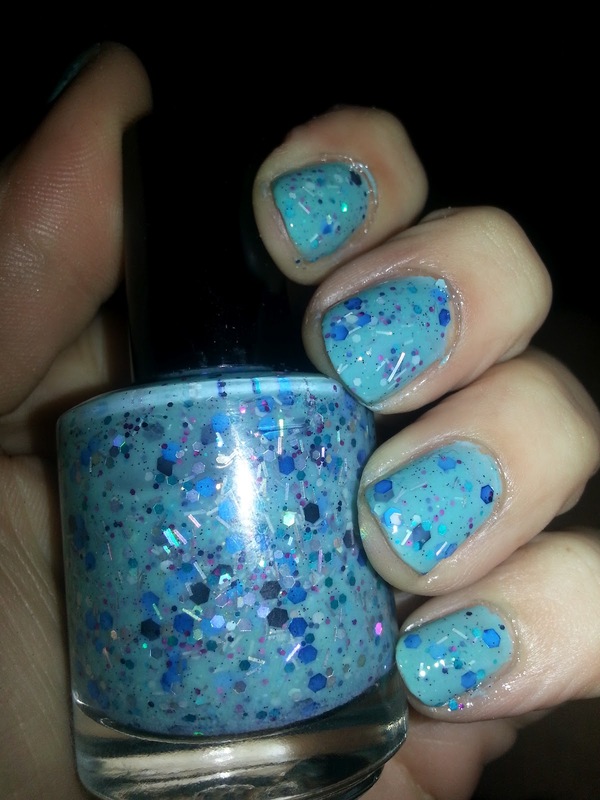 However, as everyone knows, holos are prone to chipping after only a couple days, regardless of top-coat. I've love to find a long-wearing holo! Leave comments of brands I should try if you know of a brand that exists! Now on to the eye-candy! UP Colors can be purchased from Llarowe. 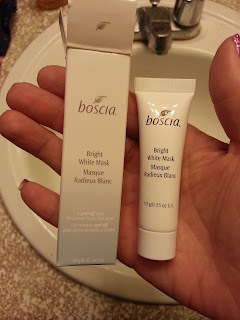 I am a huge fan of Boscia. I love the simple ingredients, packaging, and most importantly, results. 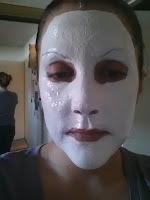 I've tried multiple moisturizers, the Black mask and strips, and I adore their primer. Whenever Sephora offers a Boscia product, especially as a delux sample, it's an automatic must-have for me. Recently, I placed an order for my birthday (august 4th) and I was able to add in this Bright White Mask. 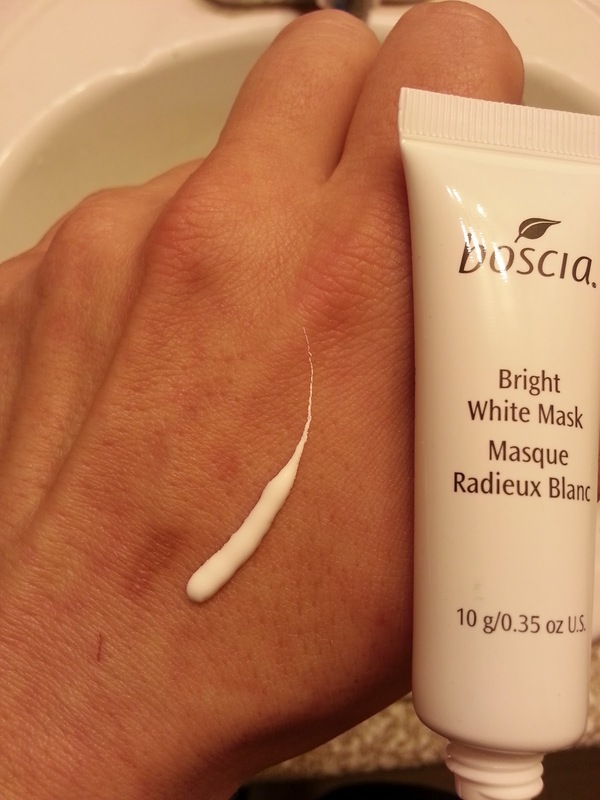 An advanced antiaging mask that brightens, hydrates, and smoothes the skin. Soothing and hydrating, this antiaging mask contains clinical levels of advanced whitening ingredients to visibly even skintone, reduce dark spots, and brighten the complexion. Pro-vitamin C suppresses skin damage caused by UV radiation while delivering intense hydration and increasing natural moisture factors in the skin. It targets fine lines and wrinkles, and boosts collagen production to reduce excess sagging. The peel-off technology instantly smoothes the complexion for a healthy, youthful, fresh glow. It is literally BRIGHT white, they are not fibbing about that. You'll see my white-out face below. The consistency is very thick, I felt like I was putting Elmer's Glue on my face, and let me tell you - I loved it! It is a peel off mask, so I really like a nice, thick, even coverage so I can try to pull it off in one piece! You can thank my Siamese cat, Mao, for the lovely scratches on my hand! Anyway!! I slathered it on and I took pictures. You may want to get your small children out of the room before scrolling down! I told you, they are NOT kidding around with the BRIGHT WHITE name! The mask felt great on. I haaate masks that make your skin feel tight or scaly or itchy underneath. This just felt like a nice, thick, cold cream. It was really pleasant. True to the 20 minutes directions on the package, the mask dried nice and evenly and peeled off in pretty much one solid piece. 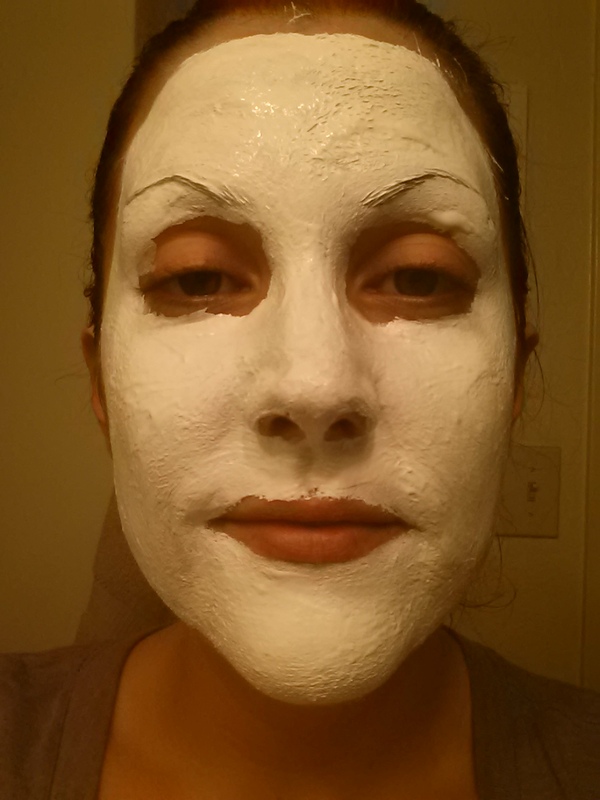 My face fees soft and refreshed. I've been super stressed and busy lately, so a mask like this was just what I needed. It retails at $38 for 2.8oz. 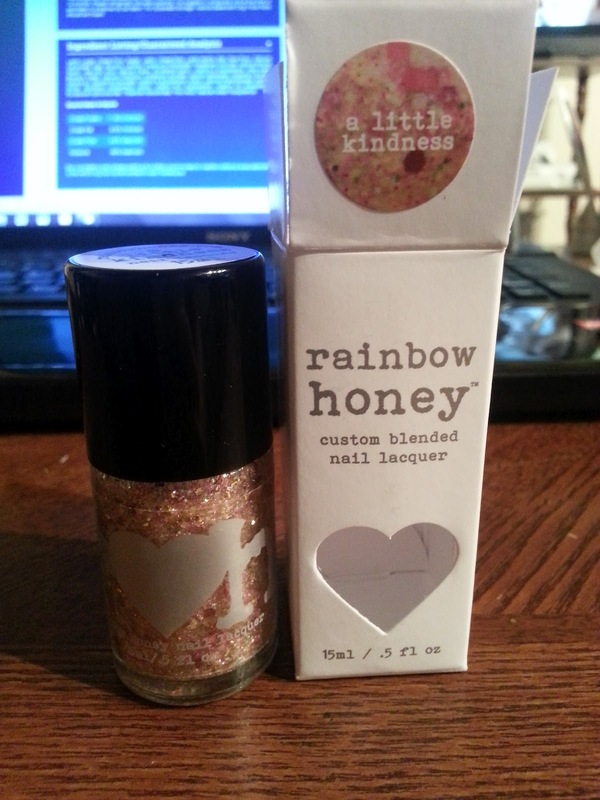 I used this entire .3oz sample in one use, so you'd get between 8-10 uses if you used it as liberally as I did, or about $4 per use. I do have a few other masks to finish up, but this is def a contender for my next full size purchase. Boscia continues up to my high expectations of their products! Today I have another quickie post with a pic grid from Photo Grid. This is Orly's Pretty Please, a light pink. It is a very girly shade with a light purple shift underneath it. The shift is hard to capture with my cell camera and tougher to see in this grid shot. I will do a full post on it w/more photos soon. I grabbed this beauty from Hautelook. I love the color but I am glad I didn't pay full price. The color is sheeeeer and probably better as a single coat or two with a french manicure. I did three coats and it still wasn't opaque. I added a coat of NYC Matte and it didn't help the coverage issue, so I added another coat of polish and a coat of Seche Vite and it looks muuch better. Next time I use this, I will definitly start with a white base, otherwise I will use this polish up quickly, and I don't think I've ever used an entire bottle. See the fill line? That was after a single mani! Good thing it's a pretty color. 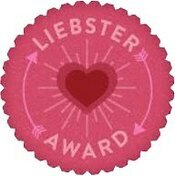 I was nominated for a Liebster Award from Muffin Nails. Thanks, Muffin!! Since more than one person nominated me, I just chose my favorite questions from each one. 1. 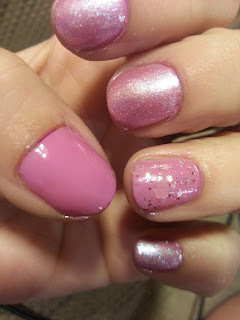 My favorite nail colors are pinks, lilacs, pastels. 2. I cannot stamp for the life of me. You'll prob never see that here. Instead, you'll be subjected to my 3rd grade line drawing skills. 3. My children are my pets! I have two Shiba Inus and one Siamese. All are rescued!!!! I firmly believe in rescue. Shelby has a FB page if you want to see picks of my babies: Shelby Roberson!! 4. My real life occupations are history Professor at a community college and online marketing for a CD company. 5. I only stopped biting my nails in 2010, this is a new hobby!! 6. I wish I was better at consistency - blogging more, exercising more, doing anything longer than a week! 7. One day I will visit Fiji!! 8. I wish I was a professional singer. I sing constantly in my car. But never in front of others and I'd never ever do karaoke! 9. I have three tattoos, 2 hidden on my back and one on my wrist. My next one will be a world map. 10. I went skydiving for my 18th birthday and it was still one of the coolest things I've ever done! 11. My boyfriend really does hate makeup. There's never a moment where I dont hear "why are your hands slimy?" "do you have to put that on your face?" "you bought another polish?" "i'm pretty sure you have that color" UGH!!! 1. 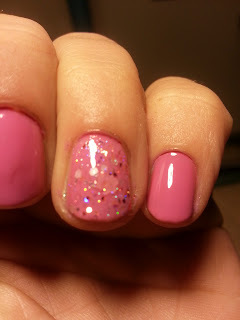 If you could only buy three more polishes for the rest of your life, what would they be? The first would have to be Connect The Dots by Lynnderella! 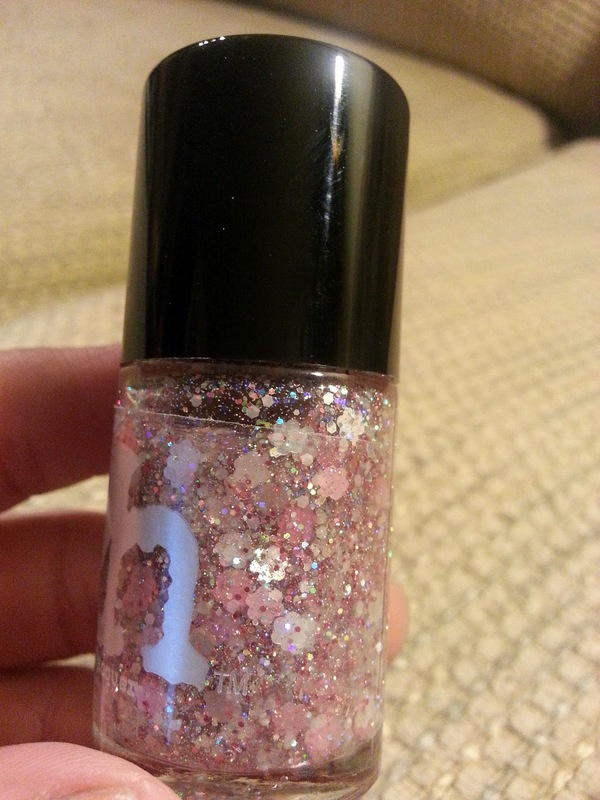 It is such an awesome black/white topcoat with a fine silver shimmer. 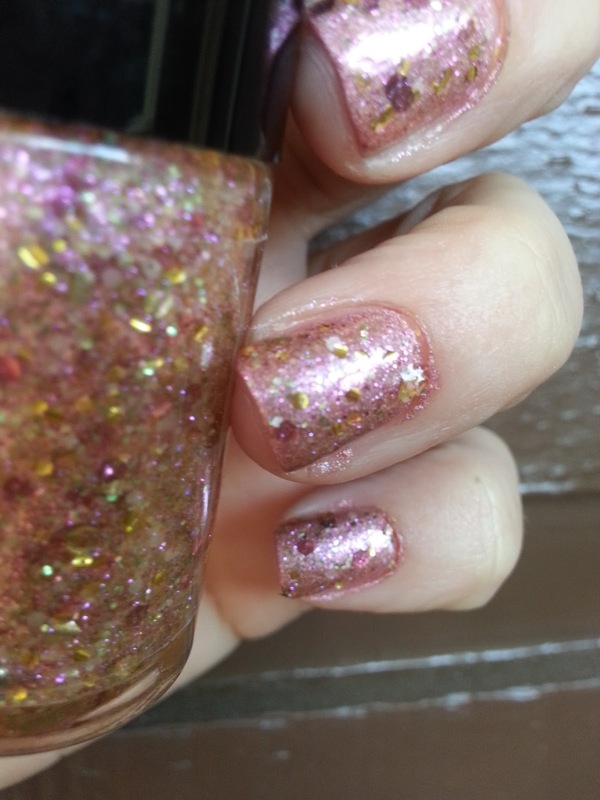 There are hexs, big and small, bar glitters, and her formula is pretty perfect. 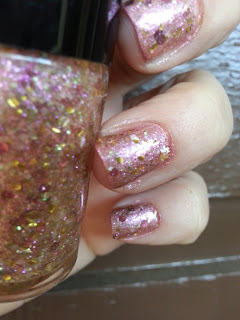 I wont buy another polish at the new $20 and up eBay price, but let's ignore that for now! 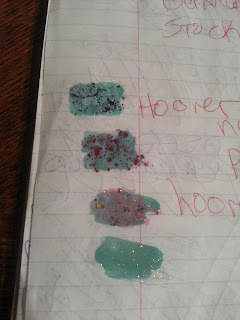 The third would probably be a pale mint color, like Orly Ancient Jade. Soo pretty! 2. How often do your paint your nails? Pretty much every 2-3 days! I dont mean to do it as much but if they chip, I will bite them which is baaaad. I am an ex-biter so they've got to be looking pretty much perfect for me to leave them alone. Plus, since I teach, I try to keep my makeup neutral so my nails get to be wild! 3. What’s the strangest thing you’ve ever eaten? When I was 13, I traveled to Austria with my aunt, her boyfriend at the time, and his niece. I ordered a salmon and pesto pizza on flatbread (no marinara sauce). It was amazing but odd! 4. What’s your favorite nail trend? Pastels! I love soft spring-time looks. 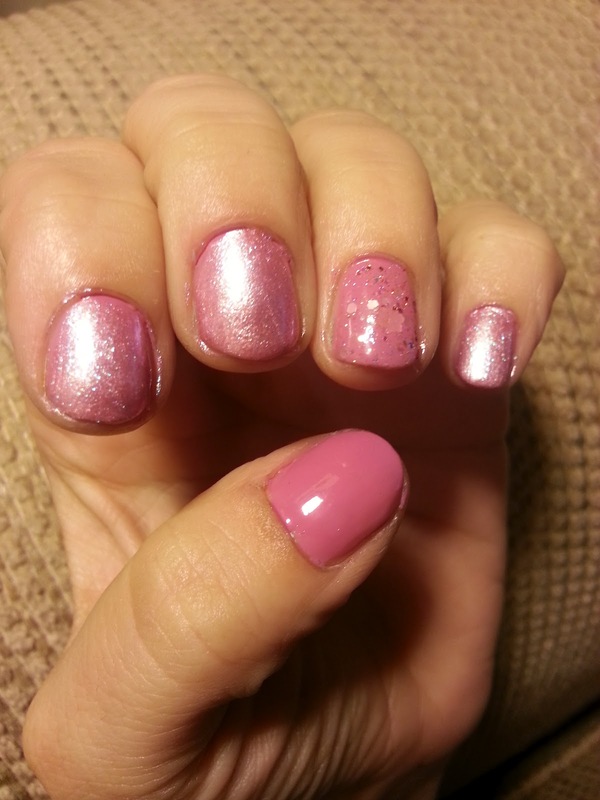 Tactile manicures like the microbeads and now the velvet manicure. 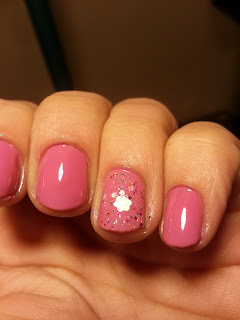 The cutest version I've seen was an "Astroturf" mani w/little football players, LOL. I can't do the tactile stuff, I would just be picking at it or touching it and I'd never ever get anything done. Unicorns all the way. Soft, fuzzy, happy, pastel, ponies. My Little Pony's were my favorite thing ever - I'm a child of the 1980's!! 7. 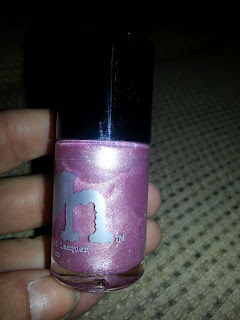 What’s your favorite nail polish brand? 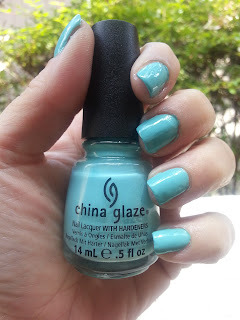 For mainstream brands, I vote China Glaze and I've recently come to this conclusion. I love the coverage and colors. 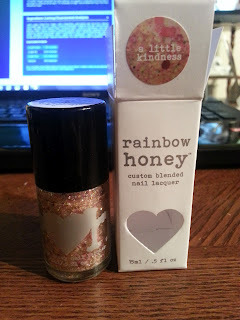 For indie brands, I'd say Rainbow Honey. I only have two now (with two from the Sakura Collection on the way!!) and I love the uniqueness. Pahlish is a close second! 8. What is the most you’ve ever paid for a bottle of polish? Nars - $18 for Ratin Jot. 9. What’s the nail design you’re most proud of? 10. What nail design did you try out that totally flopped? 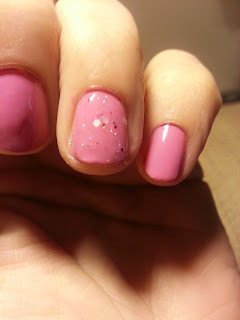 I tried a galaxy manicure with a pink base which totally ruined the point! LOL. 11. 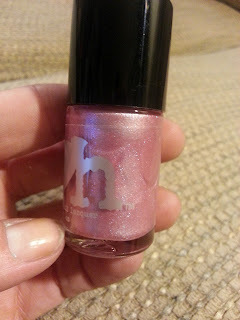 What do you like to do other than blogging and nail polish? I don't have time for much else b/c of school! I work, I teach history, I research history, I play with my dogs, spend time with my boyfriend, I love traveling especially to see my family in Connecticut, I love photography. 1. How do you organize your stash? 2. If there was a fire, and your family was all safe, what 5 polishes are you rescuing? 3. 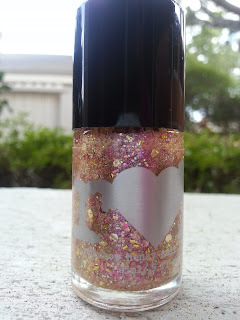 When did you start loving makeup/polish/beauty products? 5. One word that people that know you well would use to describe you. 6. Where is the weirdest place you ever polished your nails? 7. 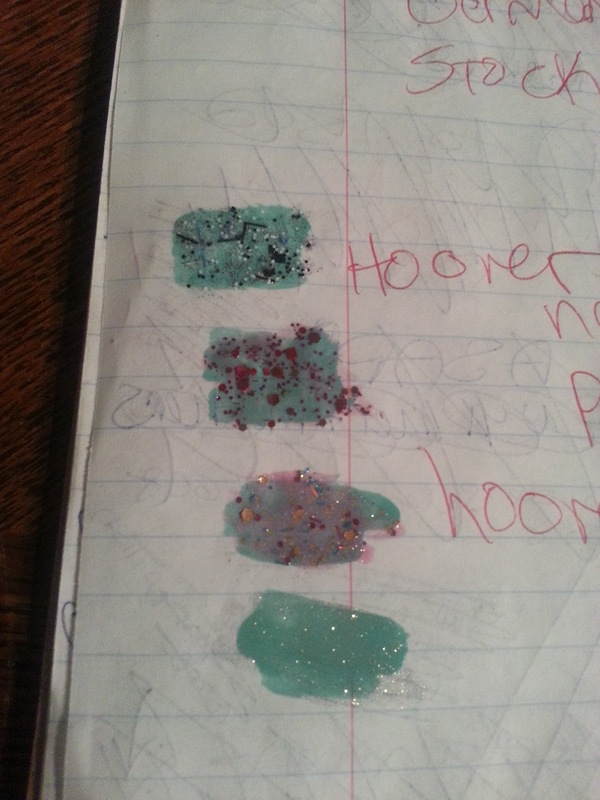 Do you have any other hobbies besides nail polish? 8. What is your favorite wild animal? 10. 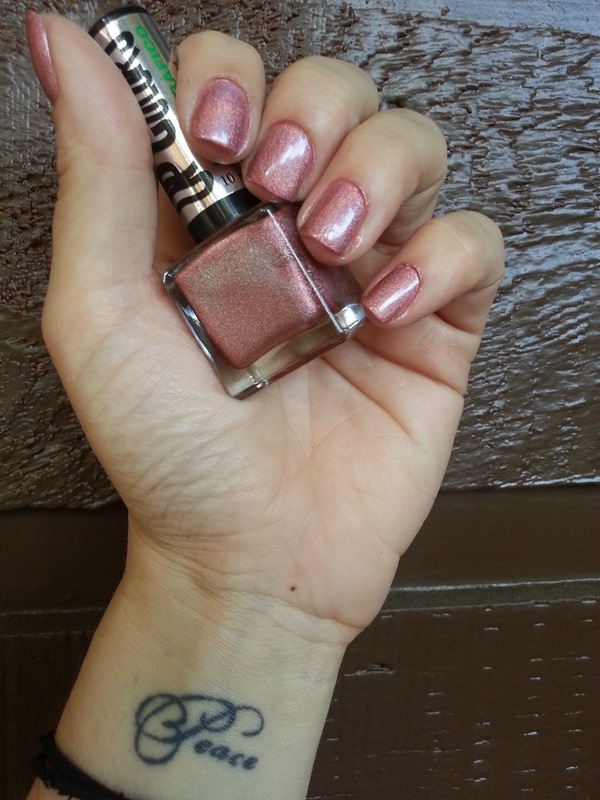 How many bottles of polish do you own? 11. What do your friends / family think of your hobby? Don't forget to follow here, on Facebook, and on Twitter.